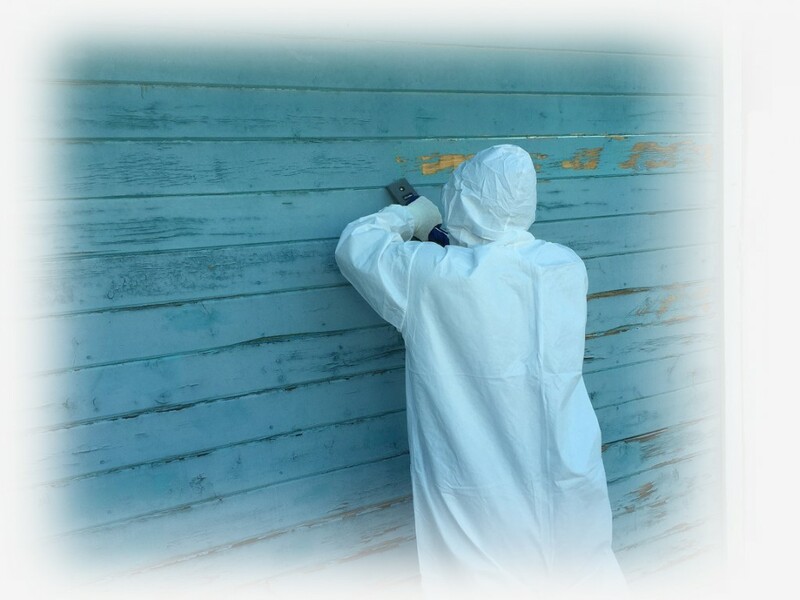 One of the few locally owned and operated abatement companies, SafeGuard Restoration is an industry leader for asbestos and lead removal projects. Given the potential health risks associated with asbestos & lead-based paint, contractor selection is extremely important. We specialize in compliance with state, local, and federal regulations, and we also have relationships with regulators and administrators in the enforcement arms of the various indoor air-quality districts. Nevada and California laws require that specially-licensed, asbestos-abatement contractors perform work with materials containing asbestos. Those laws also require stringent air clearance upon completion by a third party Environmental Hygienist. Regulated asbestos containing material (aka friable asbestos containing material), when dry, can be crumbled, pulverized or reduced to powder by hand pressure, or non-friable asbestos containing material that has been, or will be subjected to, sanding, grinding, cutting, or abrading or has crumbled, or been pulverized or reduced to powder in the course of demolition or renovation procedures. RACM requires the most stringent disposal and manifesting criteria, and also triggers notification to local Air Quality districts in commercial structure jobs. 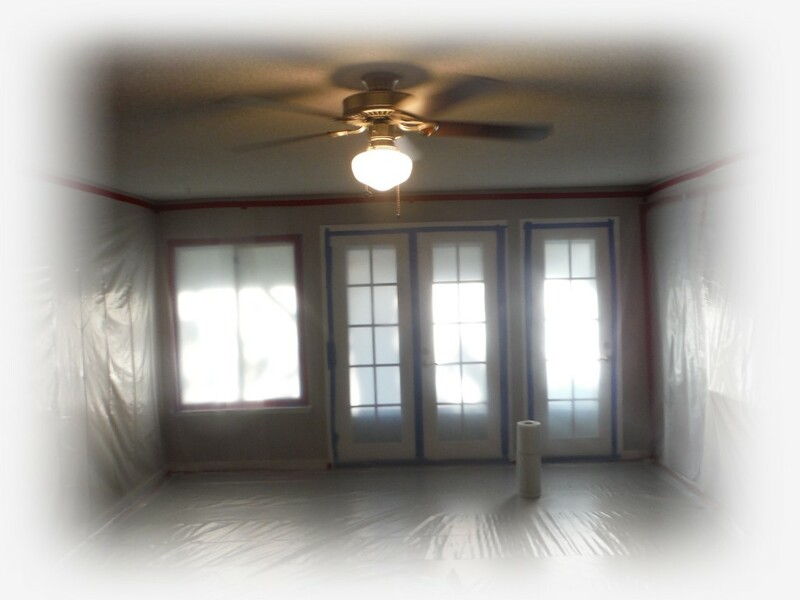 We have worked with all insurance carriers and are well-versed in handling insurance claims from any initial water damage or fire through the asbestos or lead abatement process (if encountered on your small project or high-end abatement). Our workforce is fully certified and trained by EPA & OSHA accredited training providers as required by law. 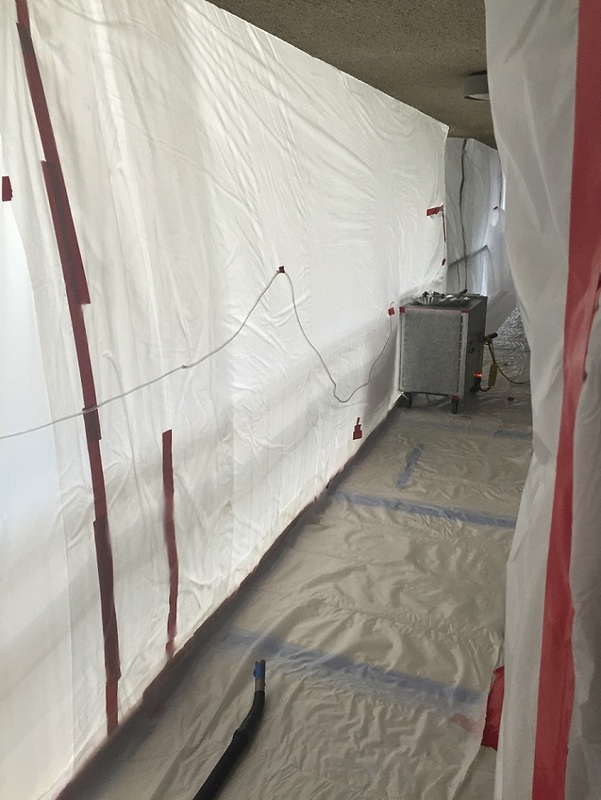 SafeGuard Restoration also has an in-house compliance and safety officer – as well as an on-staff environmental hygienist – who oversee every aspect of job-site risk management from planning to final asbestos disposal. 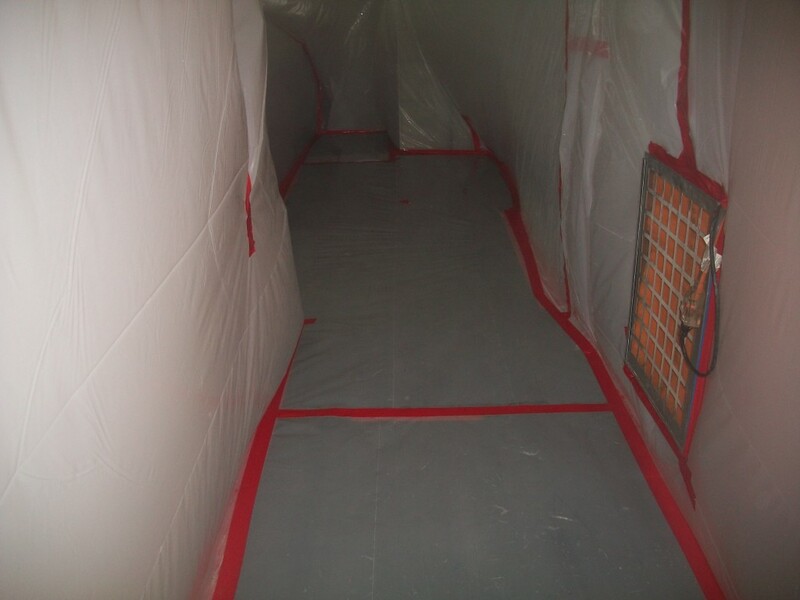 The SafeGuard Restoration team is fully-equipped to ensure safety during every step of the asbestos removal process. 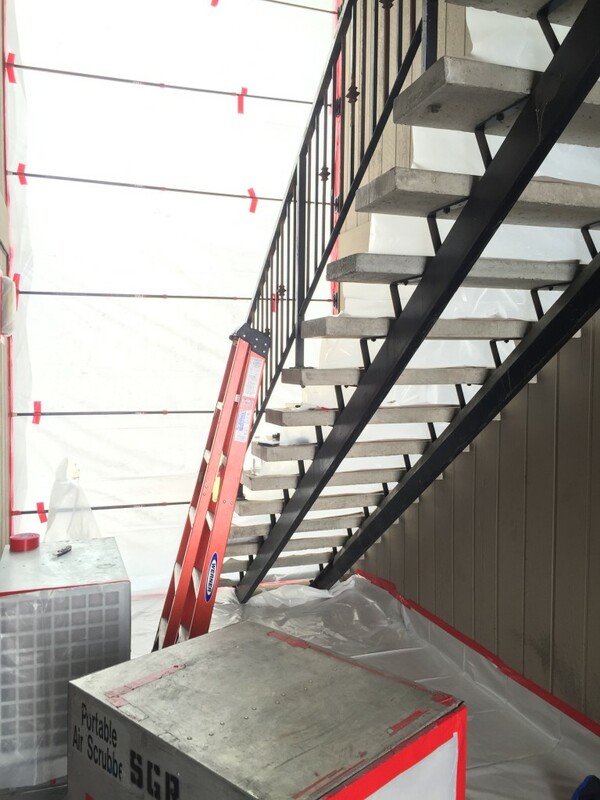 From isolated residential spaces and commercial sites to low-rise and mid-rise towers, our asbestos abatement techniques are optimized for any space. Our team has removed asbestos from a broad range of spaces including dental offices, hotels, casinos, county libraries, mid-rise buildings, commercial office buildings, government buildings, multi-family housing projects and retail stores. We also provide environmentally-safe asbestos disposal from filing paperwork to transporting to the proper locations. 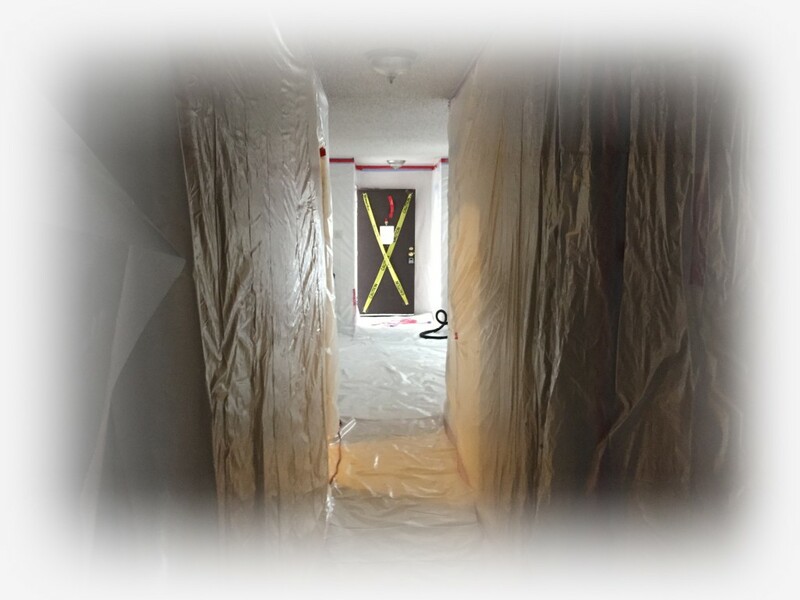 SafeGuard Restoration is often asked to provide asbestos abatement and removal services in a portion of a building while the other portion continues to operate. We have the experience and technical expertise to remove the regulated and non-regulated asbestos-containing materials without interrupting productivity. 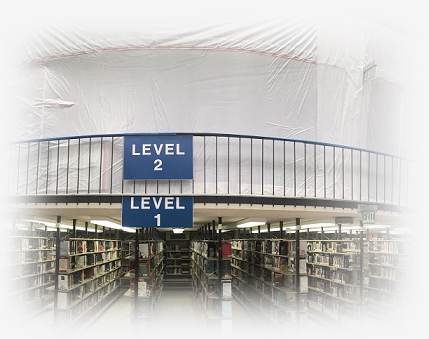 During asbestos removal, SafeGuard Restoration utilizes engineering controls to prevent interruption of services and activities on separate floors. Because of our team’s longevity in the asbestos removal and disposal industry, SafeGuard Restoration offers its clients the benefits of a very stable and trustworthy workforce; project managers, supervisors, and laborers with tremendous experience; and the technical capacity to understand and develop a work plan for each specific project while also working with environmental hygienists to achieve your required clearance the first time. 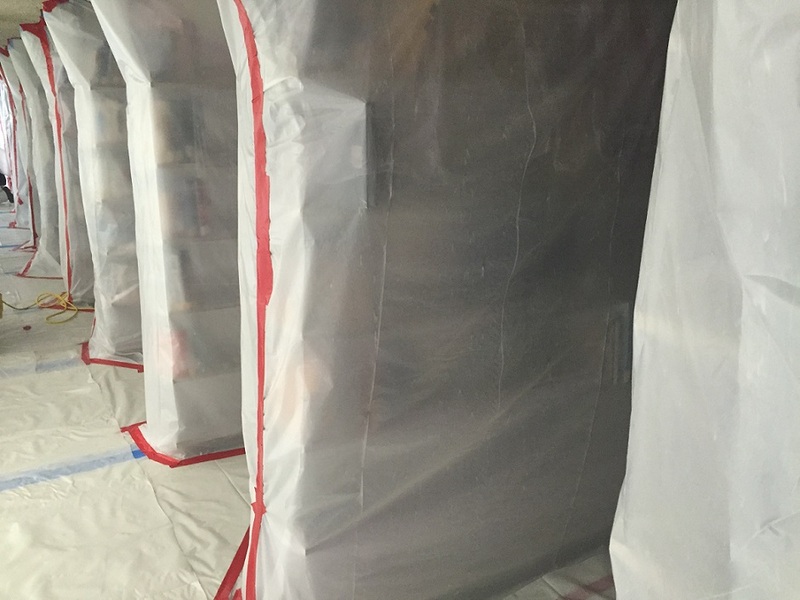 Contact SafeGuard Restoration for expert asbestos removal and disposal for whatever your project may be. Most structures built before 1960 contain heavily leaded paint. Some structures built as recently as 1978 may also contain lead paint. Lead was placed in the paint as a way to make it last longer. Tiny pieces of peeling or chipping lead paint are dangerous if eaten. Lead paint in good condition is not usually a problem except in places where surfaces rub together and create dust (for example, when a window is opened and the surfaces rub against each other). Lead dust that is inhaled is a serious health hazard. Lead damages the brain, nerves and kidneys. This damage can be permanent, and is especially dangerous to children and pregnant or nursing women. In fact, lead-based paint is the most common source of lead poisoning in children. Disease symptoms may take many years to develop following exposure. 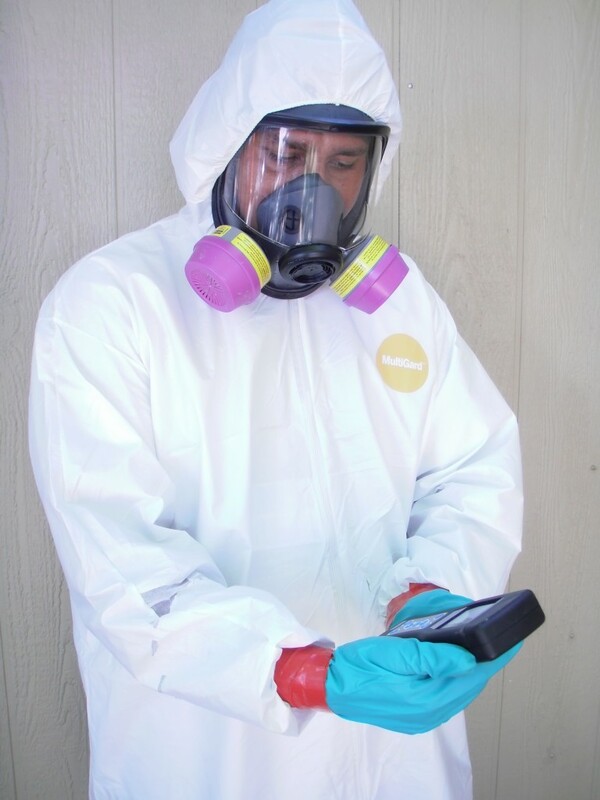 Asbestos-related conditions can be difficult to identify. Healthcare providers usually identify the possibility of asbestos exposure and related health conditions like lung disease by taking a thorough medical history. This includes looking at the person’s medical, work, cultural and environmental history. 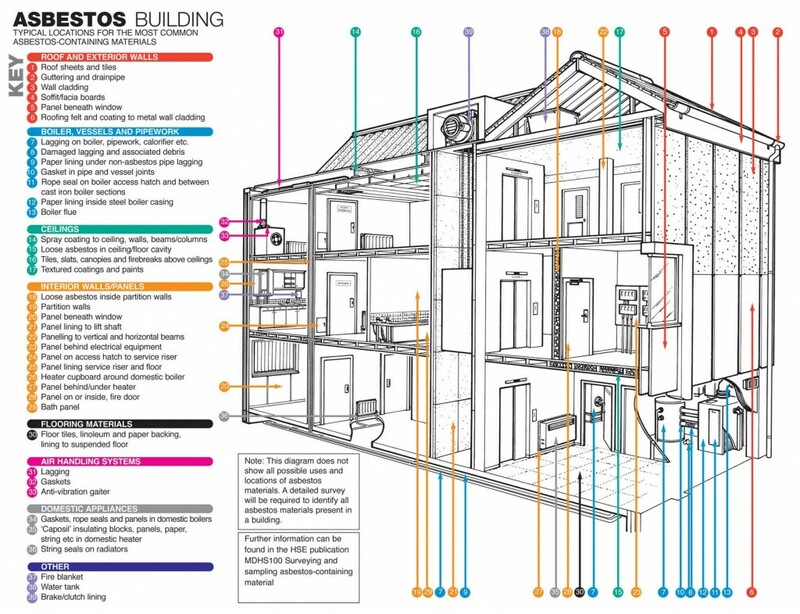 For more information on these and other health effects of asbestos exposure see the Agency for Toxic Substances and Disease Registry, the National Institute for Occupational Safety and Health and the National Cancer Institute.